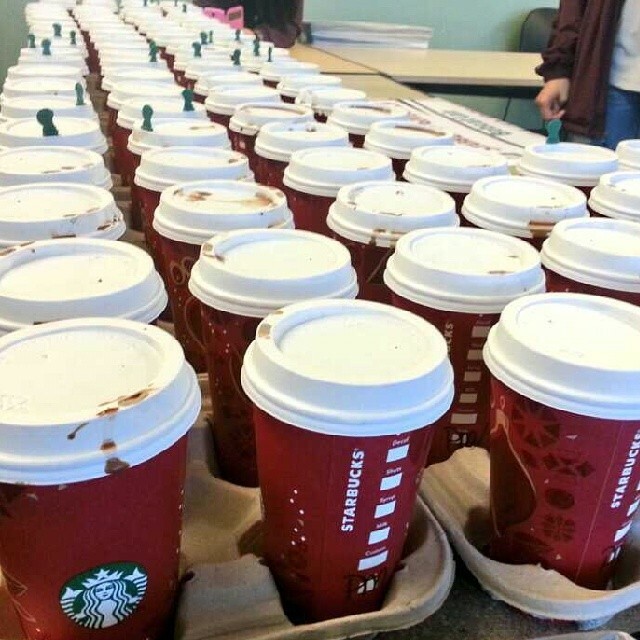 In spite of the cold weather and finals, we planned an event in which we would provide free latte's catered from Starbucks. We provided the students with 400 various drinks and the event was successful. We took full advantage of the strong well known brand of Starbucks by being the first organization to ever bring ready to drink lattes on campus for students.